Every household can benefit from extra storage. 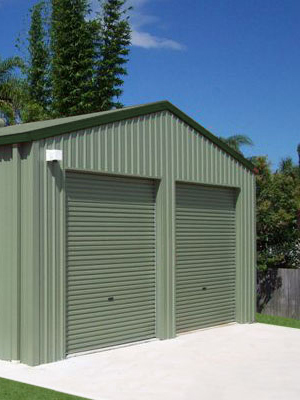 One of the best solutions is to install a shed in the back yard whether it is a small garden shed, a medium 6 – 9 metre shed or even bigger. 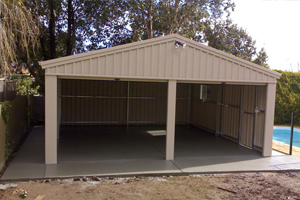 The most important thing to consider before purchasing a shed is the foundation that it has to sit on and for this a concrete slab is most commonly and widely used. Hume & Sons Concreting can design and pour concrete shed slabs of all sizes from small garden shed slabs to 6m x 6m shed slabs, to farmhouse shed slabs, even large commercial shed slabs. 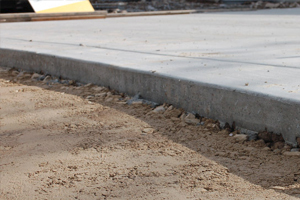 You can have the option of rebated garden shed slabs or flat slabs. 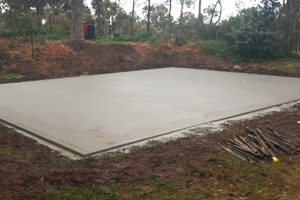 We can do concrete footings for your concrete shed slab or put in roller door rebates to keep the weather out. We can supply and pour our shed slabs at some of the best prices around. Finishing options include plain concrete, exposed aggregate, stencilled or covercrete.